There are various car rental services in Europe, yet not all of them can claim to deliver impeccable services. 8Rental is one of the most dependable car suppliers in the region and promises to satisfy all your expectations. 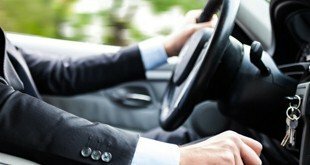 We have gained the reputation of a reliable chauffeur service due to the devotion of our whole staff of workers to our mission - to provide our clientele with safe and comfortable transportation in Europe. For fulfilling this task with dignity, we have acquired a fleet of premier vehicles, a staff of grandiose drivers who are professional in all aspects, and a group of credible administrative workers who serve as a link between our clients and the company. 8Rental is available any time of a day to receive your queries and organize the implementation of your orders. Right from your call up to delivering you to your destination is supervised and monitored by our specialists. This way we can stand for the claim of guarantee we give to all our customers. So, there is no point in hesitating, get a quote, fill it out and send it to 8Rental to have the car meet you right at the airport. 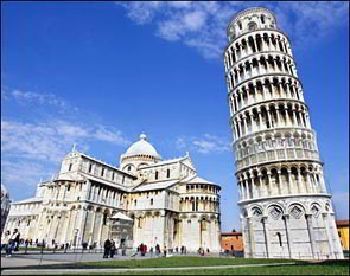 We can send our cars to Venice Marco Polo, Rome Leonardo da Vinci-Fiumicino, Naples, Milan, or any other airport of the country. Other amenities guaranteed by 8Rental include free fuel and medical insurance. We are also in charge of all taxes and fees. Booking a chauffeur-driven car in Italy form 8Rental means entrusting your transportation in this country to a credible driver. All our chauffeurs with no exception are qualified as high-level specialists. They are licensed and experienced, as well as responsible and competent. Be sure, you will never regret if you choose 8Rental to rent a car with driver in Italy as the best specialists are working here! There are different drivers employed by 8Rental. These are not only chauffeurs speaking Italian but also those who know other European languages. These are, as a rule, native drivers. Hence, all that you need is to mention the address, and you will be taken the right direction, be certain! The first thing one wonders when hiring a vehicle is how wide the choice is. 8Rental has some of the most impressive fleets of cars a car rental service may have! All of the cars here are in excellent condition and look fantastic. Depending on your status, as well as the budget you can devote to hiring a car, you may hire a standard, a business or a first class car with driver in Italy from 8Rental. Any modern specification that is designed for turning a driving into comfort, is included in our cars. So, rent a chauffeur driven car in Italy to experience the drive of your life! Anyway, who said that you are supposed to be traveling in Italy alone? Perhaps you are here with your family or friends? Or maybe you are heading to Italy on a business trip with your colleagues? In all cases, if hiring a vehicle is left to your responsibility, 8Rental offers to rent a minivan with driver in Italy. We can provide you with a Mercedes Viano (VIP optional) or a Mercedes Sprinter minibuses to your choice. Both are perfectly equipped, yet the first model is made to drive up to eight people while the second one is more capacious and will accommodate two dozens of passengers. Hire a minivan with driver in Italy and make your duties here enjoyable. And if you need a more presentable means of transport for the same number of people, there is a chance to hire a limo with driver in Italy. At 8Rental, there is a series of luxury limousines available to your selection. So, make your choice and rent a chauffeur-driven limo in Italy right here right now! As far as you are concerned with renting even a larger vehicle, 8Rental suggests booking a Mercedes Tourismobus. Rent this coach with driver in Italy if your tour is catered for up to sixty-five people. The model is very spacious yet drives fast. Italy is one of the most romantic European countries you can ever travel to. Being right in the heart of the Mediterranean sea, this country has so many sights to amaze and fascinate! The serenity of Venice at sunrise is breathtakingly beautiful, the Tuscan Hills has some kind of ethereal light that remains in your memory once you admire it. And the fact that there is always one more corner to turn to when walking along the roads is simply charming. Italy population of Italy is over 60 million people, yet annually almost fifty million tourists arrive here not only from the neighboring France, Austria, San Marino, Switzerland, Vatican City and Slovenia but also from around the world. A significant part of them chooses a reliable service to rent a car, and we encourage you to do the same. Hire a car, a minivan, a coach or limousine with driver in Italy on the most profitable conditions from 8Rental! 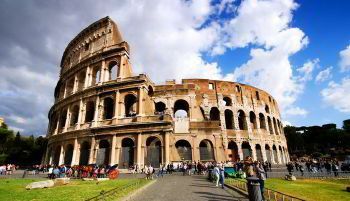 We shall drive you to all places of interest including the Leaning Tower of Pisa, Vatican Museums, Rialto Bridge, Piazza del Campo, Piazzale Michelangelo, Colosseum, and others. This is an incredible country and you are sure to cherish your memories long after leaving it.